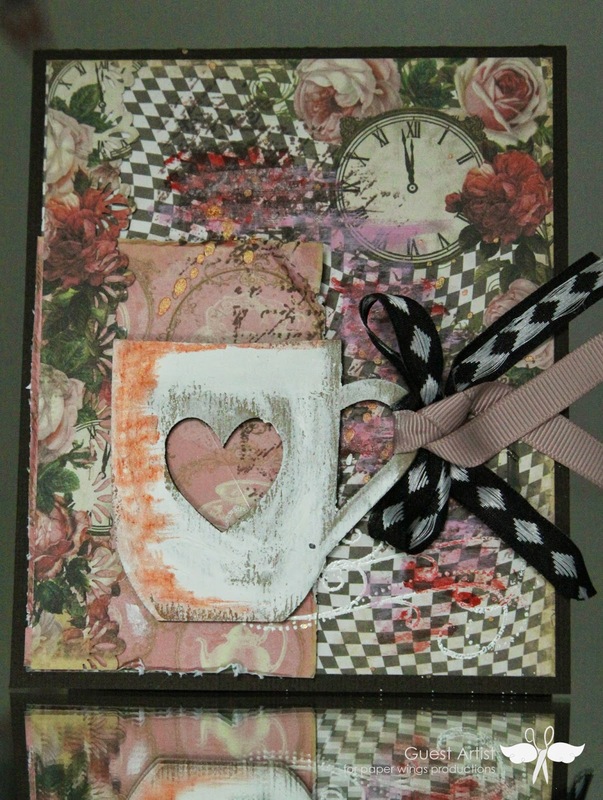 Today I am showing you a card set made with the Tea Time July Nesting Components Mixed Media kit. Both card has a brown cardstock as it´s base. 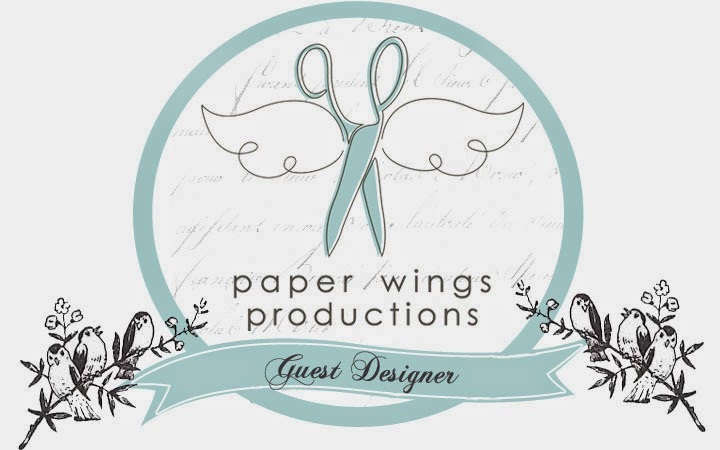 I choose to use different patterned papers from the paper pad that comes with the kit. To match the cards I choose to use leftovers from one card on the other card. 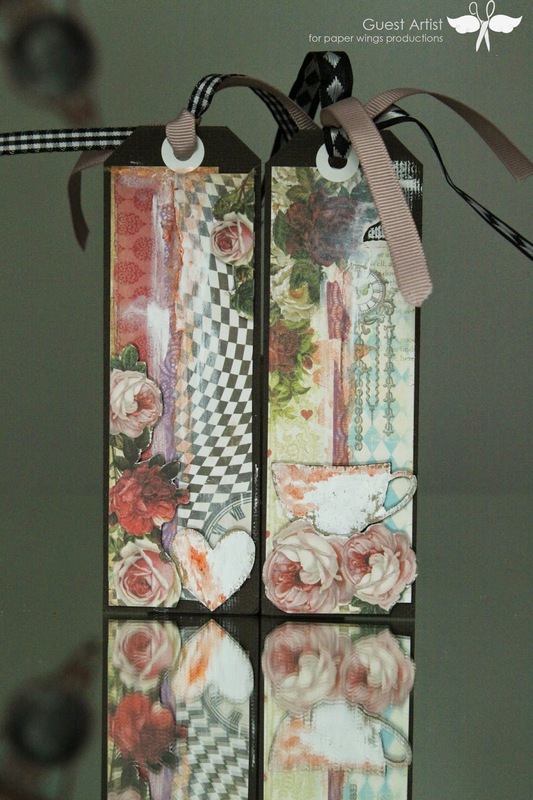 I also used the same ribbons, paints and gesso. For this card I used one of the pictures from the clip art sheet. I have distressed it a bit on the edges to create texture. I don´t like my cards to flat. 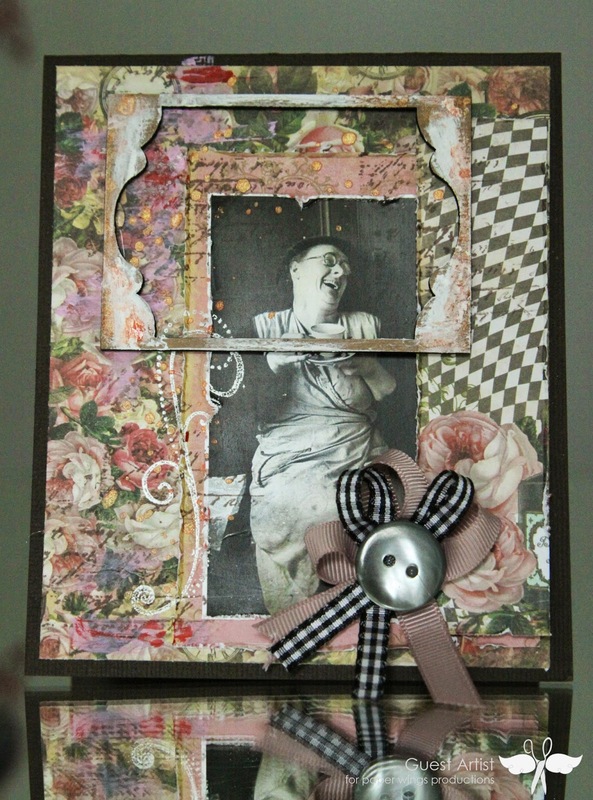 The ATC chipboard frame from Um Wow Studios made it´s way up on the top of the card. It´s partly covered with gesso. The Swirl stamps turned out nice stamped and embossed with white embossing powder. I have used the same techniques on the card below, gesso on the chipbard, embossing and splatters of mist and paint. It looks totally different though even though the material is the same. After finishing my card I had some paper strips left. Instead of throwing them away, used them for a set of tags. 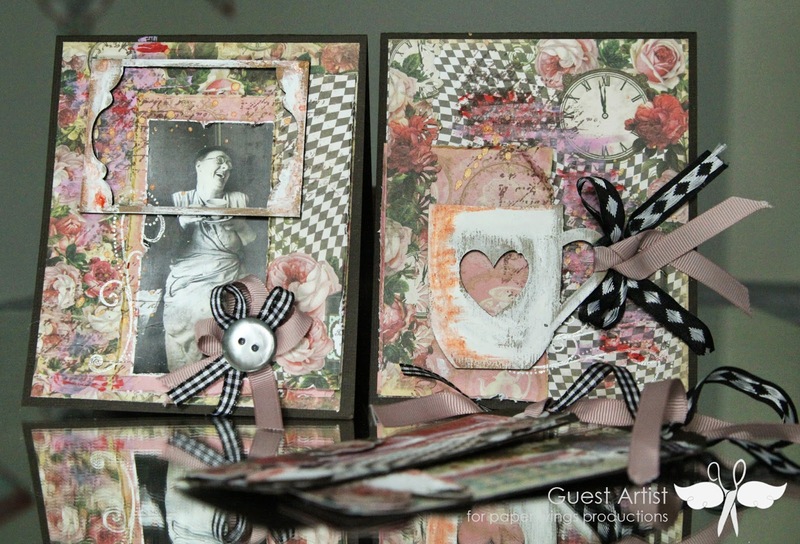 I used the same materials on these as on the cards.